45° radius elbow. The Hide-A-Hose system requires larger diameter and radius elbows than a traditional central vacuum system to accommodate the retractable hose itself and its ability to freely travel in and out of the tubing system. 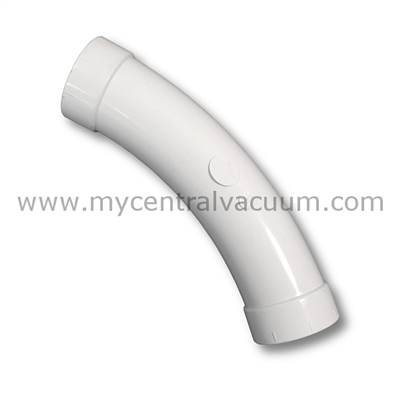 Elbow 90-Degree for Hide-a-Hose Installation Elbow 22.5-Degree for Hide-a-Hose Installation Valve Rough-In Kit for Hide-a-Hose HS5000 Valves. TurboCat Zoom Air-Driven Power Brush in Platinum or Sapphire. By Vacuflo.